The new release of our Payroll Mate software generates employee paystub (itemized wage statements) that follow the California pay stub law. 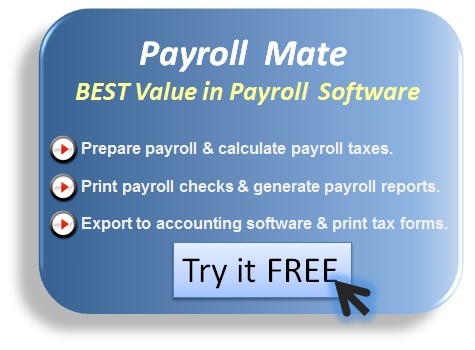 You can download a free trial of Payroll Mate by going to http://www.PayrollMate.com/ . Pursuant to California Labor Code Section 226(a), employers are required to provide employees with a paystub or itemized wage statement showing the following information: Gross wages earned; total hours worked; the number of piece-rate units earned and any applicable piece rate if the employee is paid on a piece rate basis; all deductions; net wages earned; the inclusive dates of the period for which the employee is paid; the name of the employee and the last four digits of his or her social security number ; the name and address of the legal entity that is the employer ; applicable hourly rates in effect during the pay period and the corresponding number of hours worked at each hourly rate by the employee.